It’s nearly that time of year again when producers are thinking about the cull ewe trade. With a number of important decisions to make, Nerys Wright, AHDB Beef and Lamb knowledge exchange manager, explains how to make the selling process as productive as possible. “The marketing of cull ewes tends to be a seasonal affair, trade often relying on annual religious holidays”, explains Nerys. In the UK, the meat accounts for 17 to 18 percent of sheep meat production. A report from AHDB Beef and Lamb states how in 2015, cull ewe numbers were the lowest since 1988 meaning prices were the second highest ever recorded. To June 2016, figures suggest numbers are up on last year, but are still below the five-year average. In general, the prices per head decline in August, September and October, when the average weekly slaughter numbers are at their highest. Nerys advises to sell cull ewes once weaned in order to make grazing space available for productive ewes. However, if planning to increase value and sell outside peak trading periods, she notes that it is important to consider how much condition animals need to gain and if this will be financially feasible. It must be noted that in average condition, Ewes should gain one BCS unit in around eight weeks between September and November on good-quality grass. Grass is the cheapest staple food option, and by adding expensive supplements, the profit margin achieved can be easily eroded. 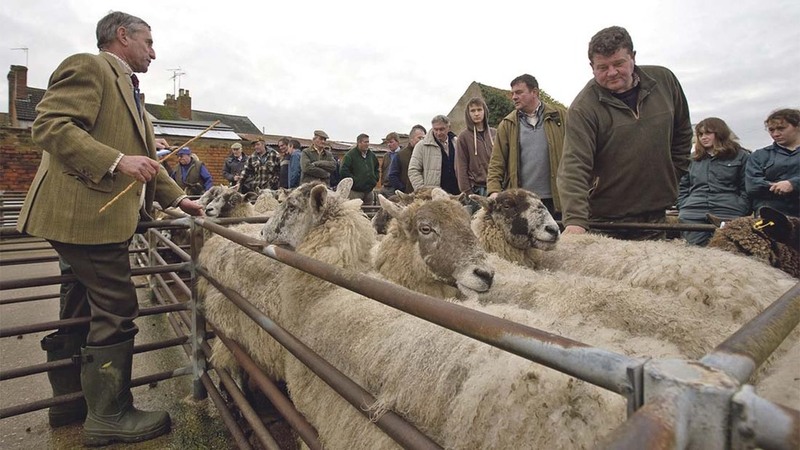 Data from the 2007 Longwood Project (funded by the Meat and Livestock Commission and Defra) found 6.9 per cent of two-year-old ewes were culled due to mastitis, a disease most commonly found in young ewes who are more prone as mammary tissue in the teat is still developing. “Feeding sufficient levels of protein and energy during lactation can significantly reduce the risk of developing mastitis”, concludes Nerys. “Whist reducing transmission can be achieved by managing risk factors, such as separating infected sheep”.